If we sustain an injury most of us know or have heard of the acronym RICE (Rest Ice Compression Elevation). We are led to believe that rest is an important component in order to help the injury heal. However, recent evidence and research now challenges the RICE phenomenon and in particular the rest element. The question many runners or sports which involve running have is; can we run whilst we have pain? For most of the runners I see in the clinic I aim to keep them running to some degree, but there are a number of factors to consider before I can make the best decision. Posted in Injury, runningTagged Injury, Return to Running, runningLeave a Comment on Run or Rest? How can I reduce pain in my heel? A common issue I come across in Bridge 38 Physiotherapy is people presenting with heel pain or plantar fasciopathy (previously called plantar fasciitis). Plantar fasciopathy is a generalised term for pain around the plantar fascia in the foot. 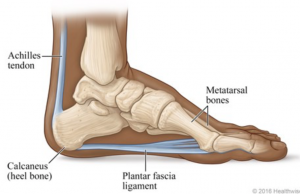 The plantar fascia is the tissue that runs from your heel bone towards your toes and helps to support your foot when standing, walking and running. Posted in heel pain, runningTagged heel pain, plantar fasciitis, runningLeave a Comment on How can I reduce pain in my heel? As we have see in part 1 patellofemoral pain (PFP) is multifactorial, making it challenging to treat. Despite the high prevalence among the sporting population, there are few published guidelines determining the most appropriate evidenced based treatment. A recent paper by Barton et. al (2015) recommends individually tailored programmes with the emphasis on active exercise rehabilitation and education. Achilles Tendinopathy – what is it? and how to get rid of it? Posted in Achilles, runners, runningLeave a Comment on Achilles Tendinopathy – what is it? and how to get rid of it? Runners – Part 2 The Importance Of Running Gait Analysis. 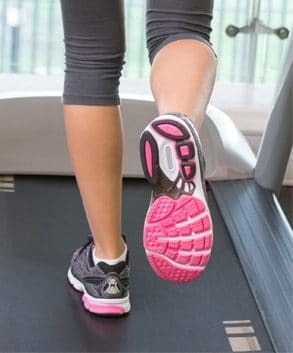 Posted in runningTagged cadence, Injury, over-striding, running, running formLeave a Comment on Runners – Part 2 The Importance Of Running Gait Analysis. Motivation Motivation Motivation – Where have you gone?